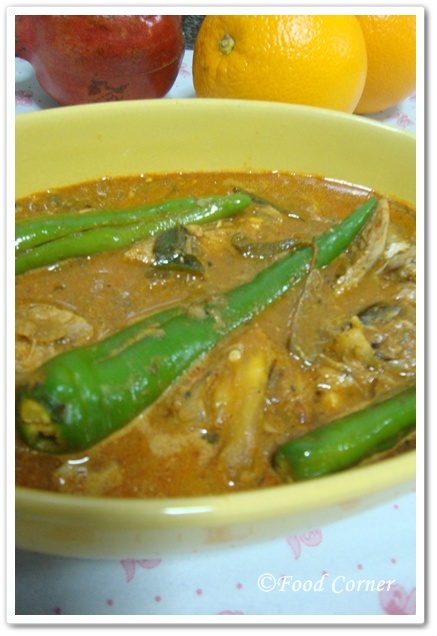 Hope you would like to try this Sri Lankan Canned Mackerel Fish Curry. Heat oil in a pan. When it is hot add mustard seeds. Once mustard seeds splutter, add onion. Then add garlic & curry leaves. 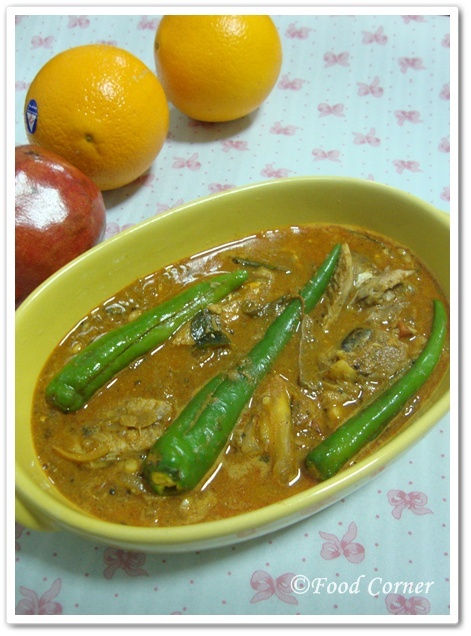 When onions are tender, add tomato pieces & fry until the mix become like a sauce. Then add red chili powder, curry powder, black pepper, and turmeric powder & fenugreek seeds into the sauce. Then add cinnamon stick, pandan leaf.Mix well. 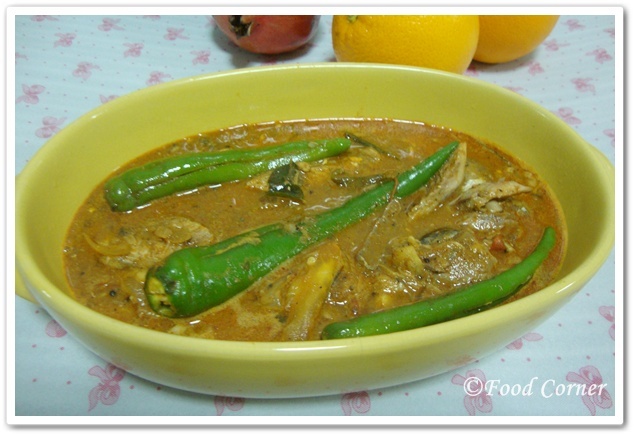 Add fish pieces & fry for few minutes. Add about ¼ cup of water & mix well. Add coconut milk slowly keeping eye on the appearance. 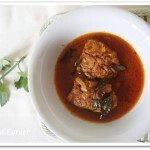 This fish curry looks delicious when the colour is red/brown. Add some water as per required gravy thickness. 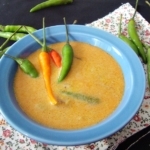 Add the green chili or capsicum into the curry. Simmer for another few minutes in very low flame. Adjust salt to taste. Hi there. 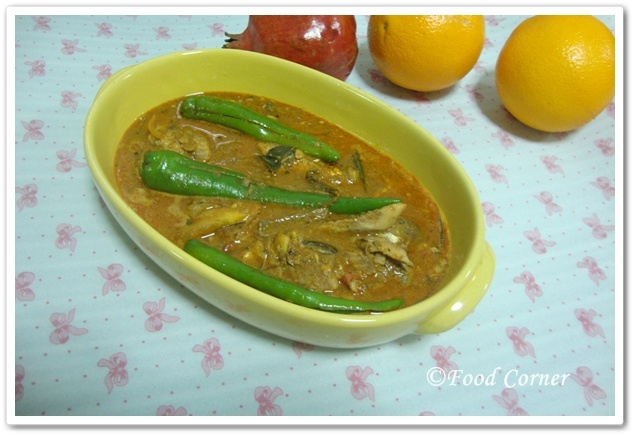 This week’s Food on Friday is all about curry! So it would be great if you linked this in. This is the link . Have a good week. Never tired any curry with tinned fish, fear of getting a bad smelly fish! 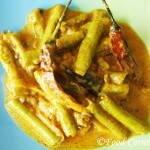 But this looks real yumm, hope u checked out the award for you on the blog! Clever gal to turn a canned food into a nice dish! Amy, thks for your entry in my Jyunka contest. U may wanna check this out too: Jyunka Hyaluvital Cream, Fortified With Caviar! 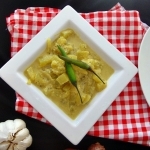 Mouthwatering here, such an inviting curry. 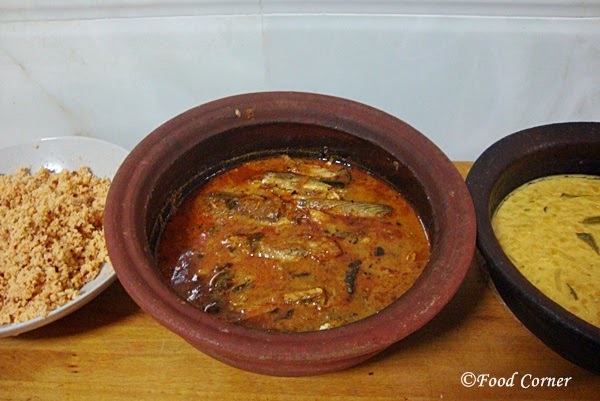 I was hungering for an authentic Sri Lankan Tin Mackerel curry and came across this. This is perfect. 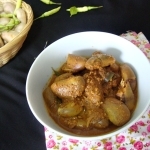 Hope you used only real Ceylon Cinnamon for this curry. 🙂 But this is delicious. Well done Amy. I just made your recipe but didn’t have all the ingredients but it still came out pretty good. I think the Ceylon Cinnamon really makes this dish very good. Interesting. I might need to try this, especially, since my husband is such a fish and curry man. I tried this recipe. And it came nicely. Thank you…….. I just made this. Quick, easy, cheap and delicious. Thanks for the recipe! Glad you like the recipe….